Is Steve Bannon a White Nationalist? No, I’ve known plenty of White Nationalists for 15 years now, and I haven’t seen anything from Steve Bannon that suggests he is a White Nationalist. White Nationalists don’t talk about “the Judeo-Christian West.” White Nationalists would never publish Ben Shapiro or Milo Yiannopoulos. Is Steve Bannon a member of the Alt-Right? No, Steve Bannon isn’t a member of the Alt-Right. Steve Bannon has said that he isn’t an ethnonationalist. Just as there are different types of liberals and conservatives, there are different types of nationalists. Steve Bannon has said that he isn’t an ethnonationalist. White Nationalists are racial nationalists. 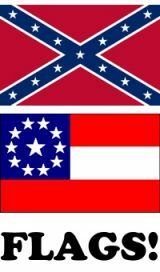 Southern Nationalists are ethnonationalists. Like Donald Trump, Steve Bannon is more of a civic nationalist. Steve Bannon is the most important figure in the Alt-Lite. As I have explained here several times, the Alt-Lite is a hybrid of mainstream conservatism and the Alt-Right which began to emerge around the time of the Trayvon Martin case. It is a new middle ground which has emerged since Conservatism, Inc. lost its legitimacy and ability to police the Right. We all see Breitbart as the premier Alt-Lite website which has popularized a diluted version of our beliefs. What do we think of Steve Bannon? 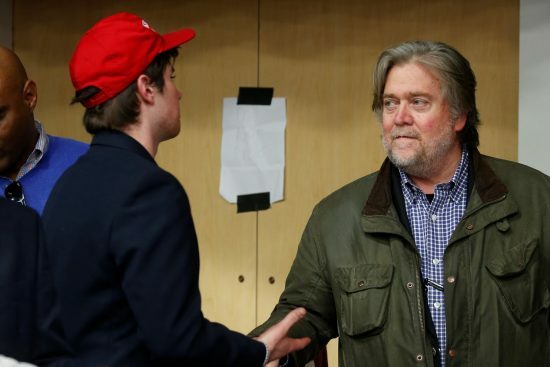 We don’t agree with Steve Bannon on everything, but he is far closer to us in spirit than to the “conservatives.” He is a nationalist and a populist. He is an iconoclast who hates the conservative establishment. He is an economic nationalist. He is a proud “son of the South.” He identifies with the White working class. He thinks in global terms. It is telling that he uses the term “metrosexual” to describe the media circle jerk. The primary difference between the Alt-Right and Steve Bannon is that he is a lot more idealistic about the prospects of nationalism and populism. Bannon and Trump’s instinct is to appeal to everyone – blacks, homosexuals, Hispanics, Jews, Asians – and include them and bring them into the fold. This is what Trump has repeatedly done throughout the campaign. It was Bannon’s idea to campaign in Flint, Michigan. In our view, Bannon is a bit naive about this issue. It didn’t come as surprise to us when he was betrayed by Ben Shapiro, Kurt Bardella, Michelle Fields and her boyfriend Jamie Weinstein. Bannon has gone out of his way to include Jews. He is very pro-Israel, but this hasn’t stopped the attacks from the ADL and the SPLC. He is now a victim of a #LyingPress witch hunt and he is smart enough to know who are the ringleaders. Steve Bannon isn’t one of us, but he isn’t an enemy either. He has gone out of his way to stick up for the Deplorables. If politics is about friend vs. enemy, then we definitely count Steve Bannon as a friend. He is on the side of the national populist revolution. His enemies are our enemies. This entry was posted on Sunday, November 20th, 2016 at 9:30 am and is filed under White Advocacy. You can follow any responses to this entry through the RSS 2.0 feed.